At Millstone Creek Orchards, we love when our guests come out to enjoy our u-pick experience. It's a wonderful way to teach your family where our food comes from and how it's grown. Join us this season and create life-long memories with your friends and family by picking all types of fresh fruits and flowers. 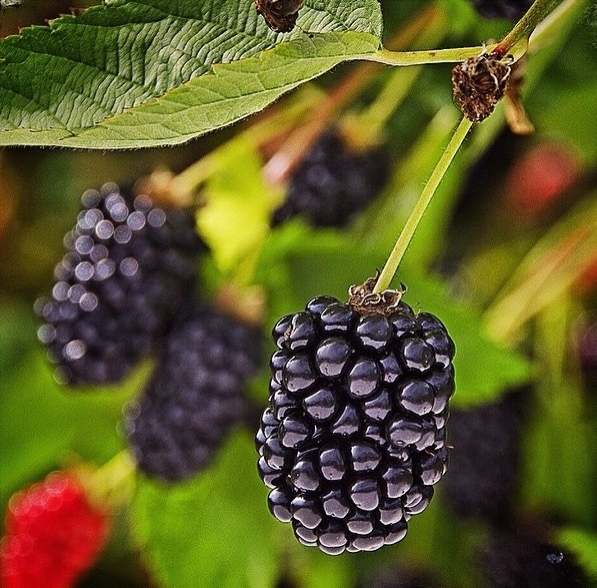 With a mixture of sweet and sour blackberry varieties, we have a variety to suit your taste buds. In total, we grow 4 different types of u-pick blackberries and have both thorn and thornless bushes. Blackberries are easy & fun to pick and even better to eat. They make the best jams and jellies. This superfood is a great ingredient for all your favorite pies, jams, and jellies. Rich in Vitamin K and C along with other antioxidants is a great addition to your morning breakfast..sprinkle a little on fresh yogurt, cereal or oatmeal for a tasty treat. Everyone says that South Carolina and Georgia peaches are the best until they've tried a North Carolina peach. Straight from the tree, some of our peaches weigh up to 1 lb alone. 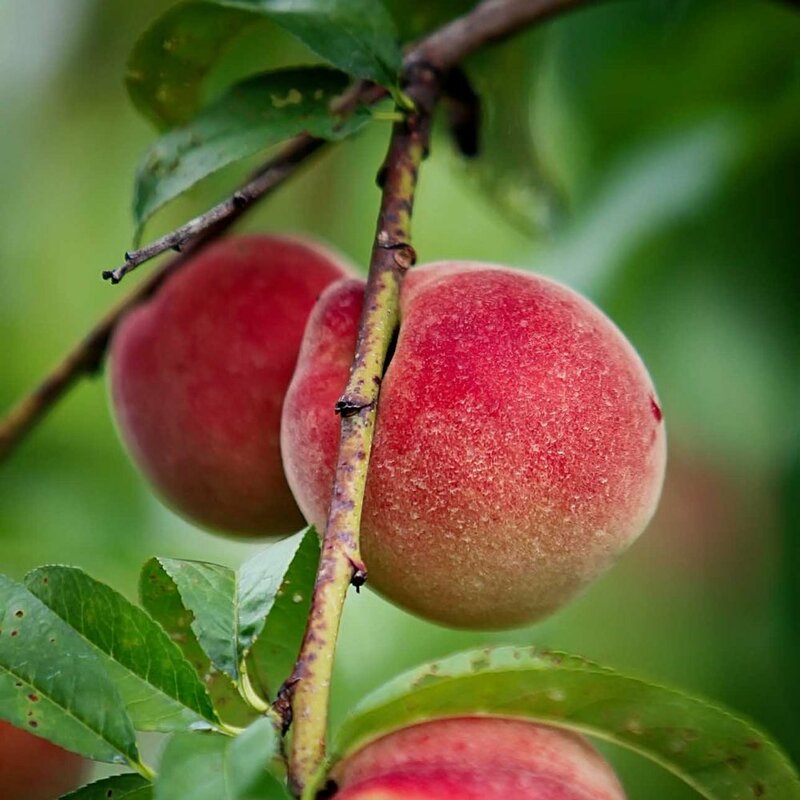 Juicy, sweet, and delicious...ooo is it peach season yet? Calling all jam and jelly-making lovers! During the summer months, be sure to come pick a fresh batch of Concord grapes to whip up a pot of grape jelly or juice. If you're more into eating than cooking, our Hinrod and Reliance grapes are seedless and a great grape for eating. What a beauty! Last season was the first year that we opened a u-pick Sunflower Garden, and it was a hit. Our garden was filled with sunflowers of all shapes and sizes...short, tall, big, small, red, golden, yellow...you name it, we have it. 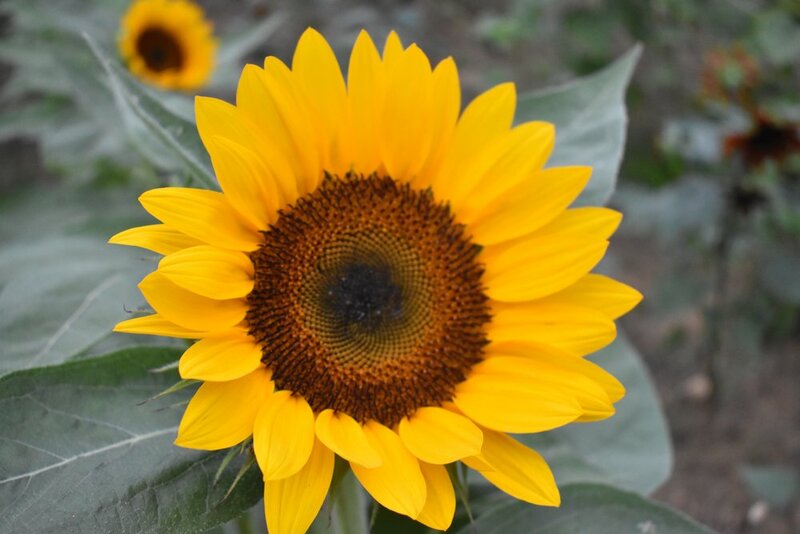 Sunflower picking is a new experience that the whole family will love and they look great on your kitchen table, too. Apple season is by far our most popular season and our picking weekends are so much fun with our Applefest event! U-Pick Apples were the first fruit that we offered at the Orchard, and currently, we have four different apple orchards with 12 different apple varieties. Join us this fall for an apple picking experience. There's nothing like biting into a fresh apple right off the tree. It's the great pumpkin, Charlie Brown! Ooo boy is pumpkin picking fun! From pie pumpkins to the great pumpkin, we have the perfect pumpkin for your favorite pumpkin pie recipe or to carve for the happiest or scariest Jack-O-Lantern. 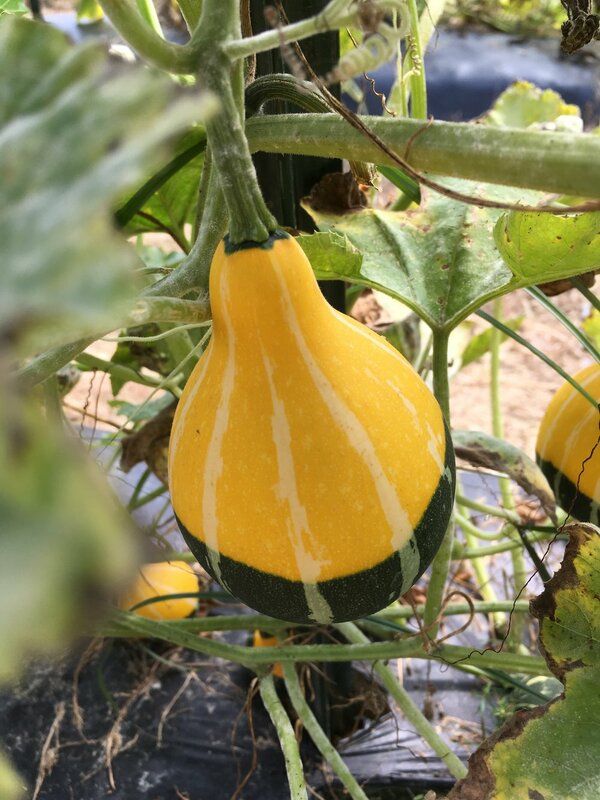 Also, enjoy the coolest, most unique gourds to create a fall masterpiece. Have you ever picked a pecan? Now's your chance, we have 2 acres of 15 year old pecan trees ready for picking in November. Fun fact: Pecan trees can live to be over 200 years old, so our pecan trees are still growing. Pecans are a great snack, topping for your ice cream and yogurt, or of course, a pecan pie.